Amsterdam ohh Amsterdam. In eager anticipation of ADE 2015. Artists Zacharias Tiempo, GeeRoc & Dee Brown, RedSteve plus Doep & Cazador, lay down their own interpretations of dance floor bliss. Opening with GeeRoc & Dee Brown's stellar debut release ''Foundations'', chugging through the system, with euphoric late night breakdowns, bringing a solid groove back to the game. 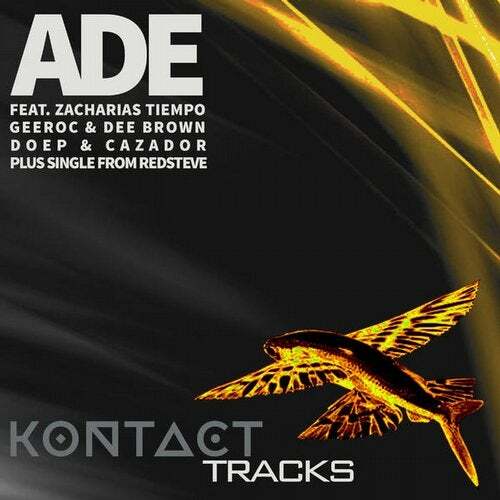 Zacharias Tiempo's ''Kontact'', does exactly what its title suggests. Connecting a throbbing baseline with quirky though delicate synths and trade mark percussions, driving you to make ''Kontact'' with the rhythm. RedSteve shine's forth with the magnificent ''Razzonator''. An 80's tinged synth driven pure slice of aural indulgence. Tingling and building throughout ''Razzonator'' sets out RedSteve's vision of instilling that, ''best night of your life'' feeling. Finishing things off, Doep & Cazador take us down that darkened boisterous tunnel. Supplying their monstrous acidic rhythms and the no nonsense hard techno sound.